My wife and I are new "almost full time RVers". Last year when we were preparing for our change in lifestyle, I thought seriously about personal protection. I am not a gun person; nor am I anti–gun. I feel sorry for those who live in such fear they have to have a gun at the ready all the time; however I am aware that this is still a dangerous world and any reasonable person must pay some attention to personal safety. I love the wilderness and what I fear most out there are the possible results of my own stupidity. I try to be constantly aware that I am intruding in the living space of other creatures. When not in the wilderness, my chief concern is the crazies within my own species, and there are a lot of them. RVers do not just encounter other RVers. There are non–RVers who see the RV and its occupants as a juicy target. I carefully investigated the pros and cons of owning and carrying a gun. I read two books on gun laws in Ohio—written by lawyers (imagine that). I read another book about carrying a gun in an RV titled Gun laws in 50 States. My wife and I took an introductory course called First Shot at a local shooting range. Legally carrying a gun is an investment of about $1,000 and a lot of time. Consider gun, ammunition, carry permits for two people in multiple states, and safety training for two. Surveying the gun laws of several states convinced me that I could not drive any distance across state lines without violating someone's law, regulation, or prohibition. Fifty–one different sets of laws, overzealous cops, criminal–justice systems that don't work very well, and a host of lawyers anxious to take my money to prosecute me and defend me in case of a Catch-22 violation that is sure to happen; is a greater risk to time and treasure than a mugger or a bear. 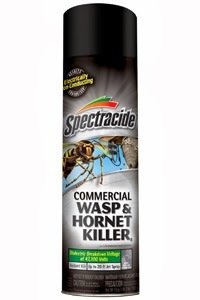 I opted for two cans of wasp spray: one in the Cougar and one in the truck. Wasp spray because it shoots a stream to a range of 25 feet, rather than a fog which is easily dispersed by the wind and is only effective at short ranges. Like my fire extinguishers, I hope I never have to use them, but I feel a little safer having them nearby. Safety lies somewhere between paranoia and carelessness.